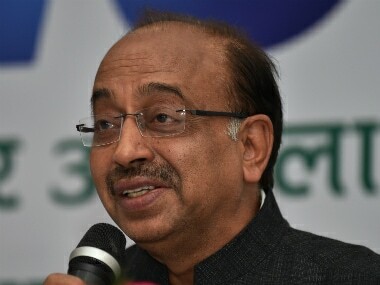 New Delhi: Sports minister Vijay Goel on Monday congratulated the Indian hockey team for the emphatic victory against Pakistan in the ongoing World Hockey League Semi-Final in London. Team India decimated Pakistan 7-1 to continue their winning streak in the league. Goel hailed the goal scorers Harmanpreet Singh, Talwinder Singh, Akashdeep Singh and Pradeep More for their splendid performance. "By beating Pakistan 7-1 in hockey World League Semifinal, we have set a new record," he said. "For the participation of Indian team in the Hockey World League, preparation camps were held at Sports Authority of India (SAI) Southern Centre, Bengaluru and the entire cost was borne by the Sports Ministry. "An amount of Rs.1.1 crore was also approved by the Ministry for the squad consisting of 18 players and 7 support staff members," he added. Goel also congratulated Kidambi Srikanth on winning the Indonesia Open Super Series. Kidambi is now the only Indian man to win Super Series Premier, Super Series and Grand Prix Gold title in badminton. "Our players have done well. 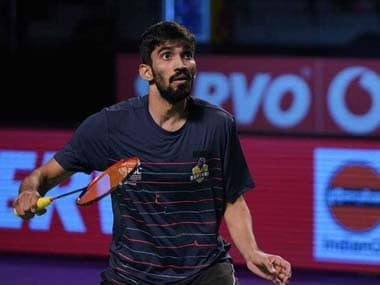 The way Kidambi Srikanth won the finals at Indonesia SOpen Super Series, I not only congratulate him but also the whole nation," he said. "Till date approx. Rs 3.20 crores have been spent on foreign exposure of the Indian Men's Hockey Team during the year 2017-18." Goel also said that till date approx. Rs 3.60 crores have been spent on the foreign exposure of the Indian badminton team during the year 2017-18. "Our players have done well. So looking at this achievements, I feel not only in cricket in other sports too, India is achieveing greater heights," he said. 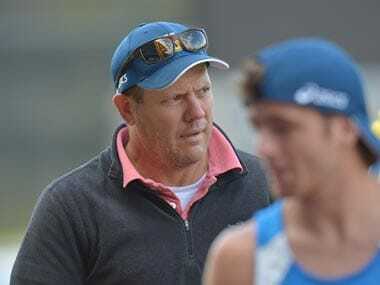 "I also congratulate the coaches and Sport Authority of India for their role in the success. "We are committed towards development of every game and our Sports Ministry along with SAI will provide complete support to all players and support staff," he added.